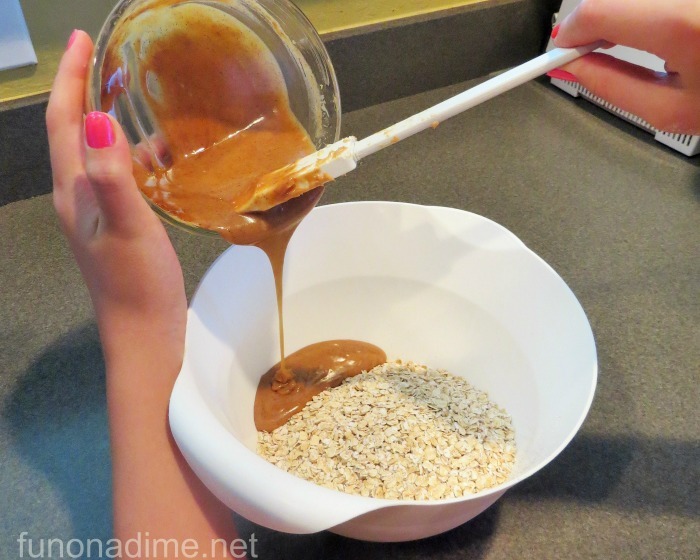 Are you tired of eating pancakes and eggs every morning for breakfast? I know I am! I have been revamping our breakfast menu this summer trying to come up with something better than cold cereal and waffles. Breakfast can be a crazy time of day at my house with everyone doing chores and getting ready for our day so it needs to be something not to hard. I found a winner with this one! 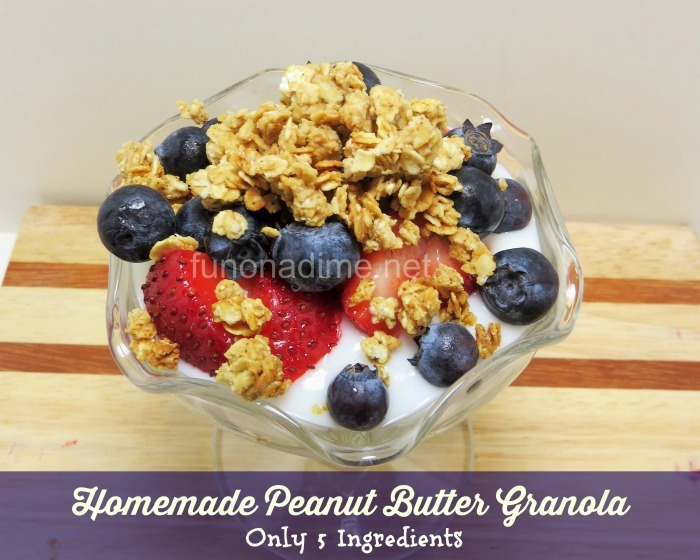 I thought I would turn my granola recipe I have been using for years into a yummy breakfast. We typically have used it for snacks but I have to say they thought I was the coolest mom ever when I made parfaits for breakfast. It really only took a minute to layer the fruit and they thought it was so fancy! Even my 2 year old gave it rave reviews. 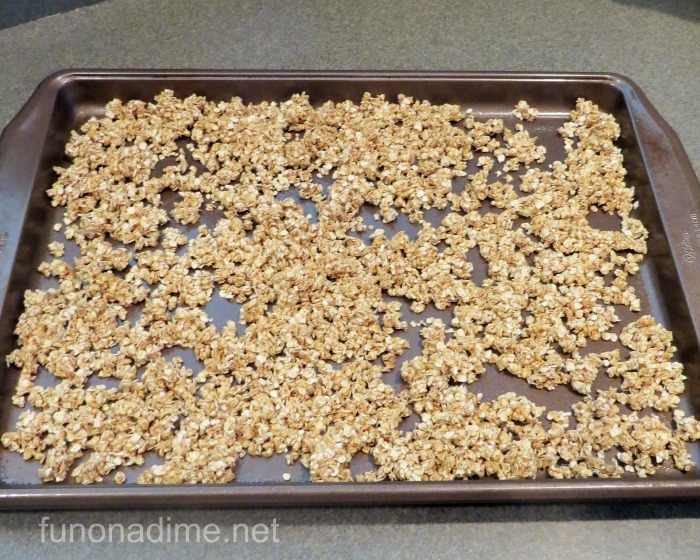 The granola on the top is what makes it super tasty and lucky for you it is super easy! 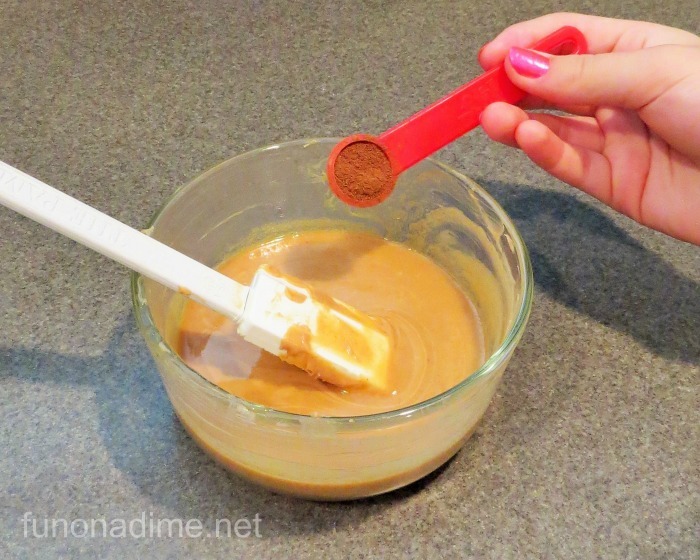 Combine peanut butter and honey in a bowl and microwave for 20 seconds and stir until mixed. 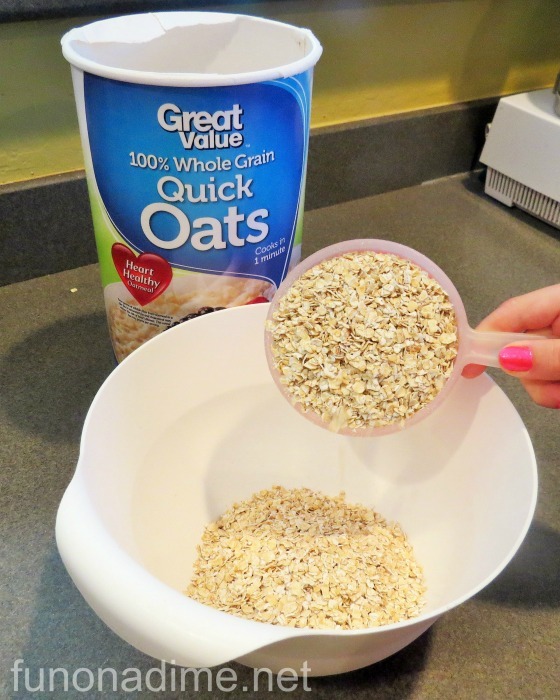 Put oats in large mixing bowl. 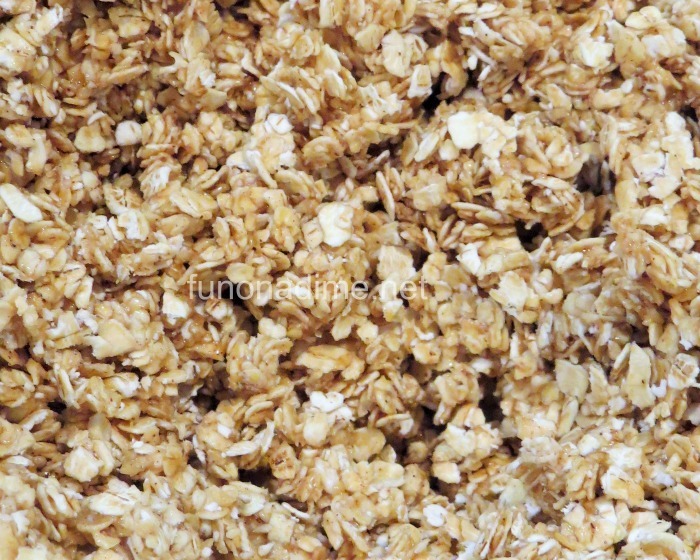 Add melted mixture to oats. 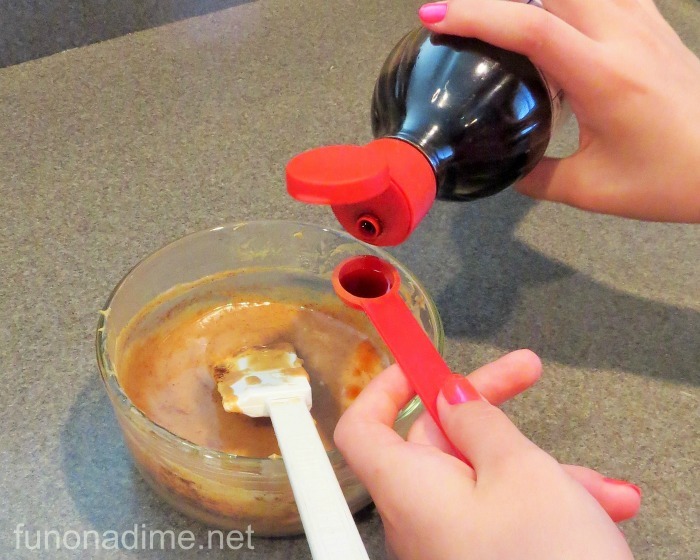 Bake for 10-12 minutes until dry. Cool and enjoy! 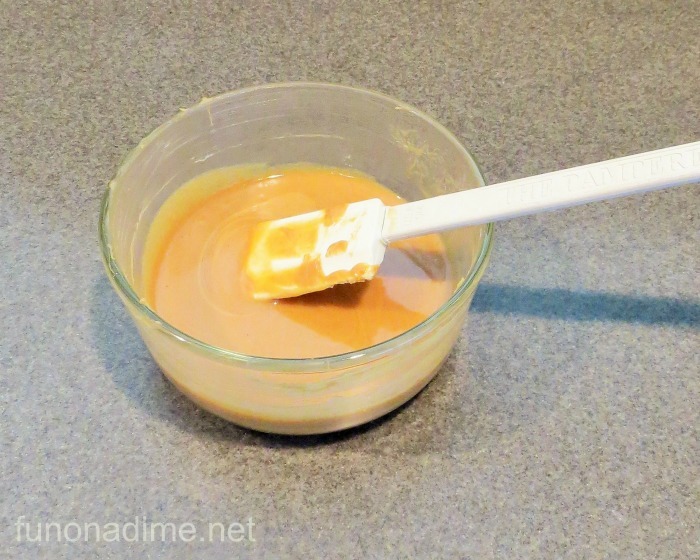 It’s is wonderful on yogurt or even just by the handful. 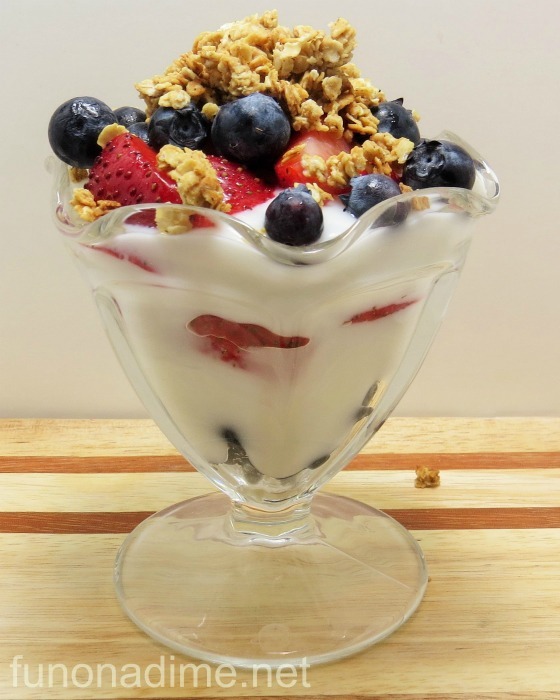 What is your favorite summer breakfast?